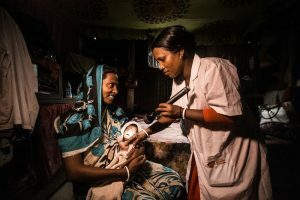 Although Bangladesh has made progress in improving maternal and child health, an estimated 62,000 Bangladeshi newborns die each year – which equates to 7 babies every hour*. This ranks Bangladesh 61st out of 225 countries worldwide^. 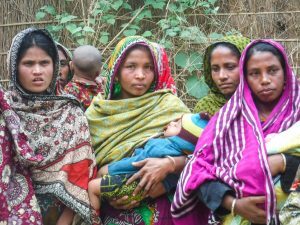 A further 3,819 women die during pregnancy or from childbirth-related complications – ranking Bangladesh 49th out of 184 countries in the world. These high mortality rates are reflected in the fact that 73% of women give birth at home, usually with the assistance of unskilled attendants or relatives. In addition, most newborns do not receive postnatal care from a trained attendant. Poorer families also have difficulty accessing appropriate and affordable healthcare. 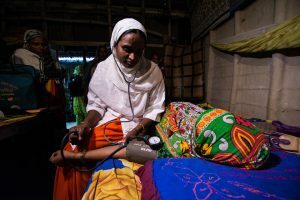 CARE has been working to reduce the number of deaths by improving the health and wellbeing of vulnerable mothers, babies and children in Gazipur – a growing industrial region of Bangladesh and home to many poor families and readymade garment workers. 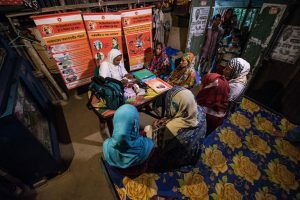 By training health workers and building the capacity of community health support systems, maternal and child health services throughout Gazipur have improved. Thousands of women are now accessing mothers’ groups, birth planning and healthcare before, during and after their pregnancy. More young children are also receiving vital healthcare. Teaching skills – Frontline workers (health assistants, family welfare assistants and community healthcare providers) were trained in counselling, birth planning, screening of disability and nutrition. The health and family planning managers were trained on quality supervision and monitoring. This improved referrals and linkages between health facilities. Building awareness – CARE worked to raise awareness and improve access to sexual, reproductive and maternal health services in the community through events to mark Safe Motherhood Day, World Health Day, Community Clinic Day and World Breastfeeding Week, and activities such as mothers’ gatherings, street dramas, learning visits and community dialogues. 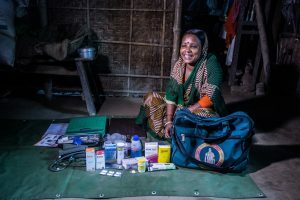 Working in partnership – CARE worked with community clinics established by the Government of Bangladesh as part of their healthcare delivery system. Effective monitoring and supervision systems were set up to ensure quality of care in community clinics and successful running of community groups. Use of services in community clinics increased by 50% before pregnancy and 150% after pregnancy. There was a 20% increase in pregnant women accessing skilled pregnancy, delivery and emergency obstetric services. 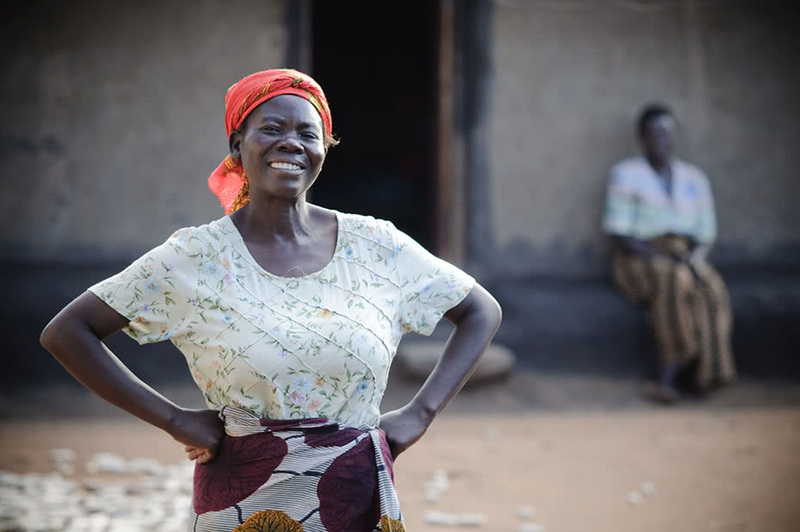 The number of women from lower income groups accessing health services has increased by 13%. 215 community members have been trained in how to identify and register pregnant women in the community and refer emergency patients to the most appropriate health provider. This has led to an increase in the number of women being referred to health clinics for pregnancy, delivery and emergency obstetric care. There has also been a 34% increase in referrals from community clinics to higher facilities. More pregnant women and their families participated in birth planning sessions – from 7% (75) at the start of the project to 45% (294) at the end. More births also took place in healthcare facilities, rising from 52% to 65%. In addition, in 2017, 63% of births in Gazipur were attended by a skilled birth attendant, compared with 54% at the project’s start in 2014. 52% of women participated in decision-making about their own and their children’s health, compared to only 29% at the start of the project. The number of women using contraception has also increased from 65% to 85%..
Community clinics are open for longer hours and provide more services. 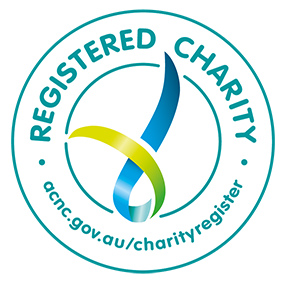 The clinics are now well equipped and staffed, and have developed a fundraising system for taking fees and donations. The clinics also support community groups and mothers’ groups. The positive experience of working together on activities related to maternal health has motivated community support groups to discuss other issues such as child marriage and violence against women. CARE provided practical support on how to form committees, and how to organise and implement various activities. Shukla is 22 years old and has been married since she was 19. She lives in the Gazipur district with her husband and their nine-month-old daughter at their in-laws’ residence. 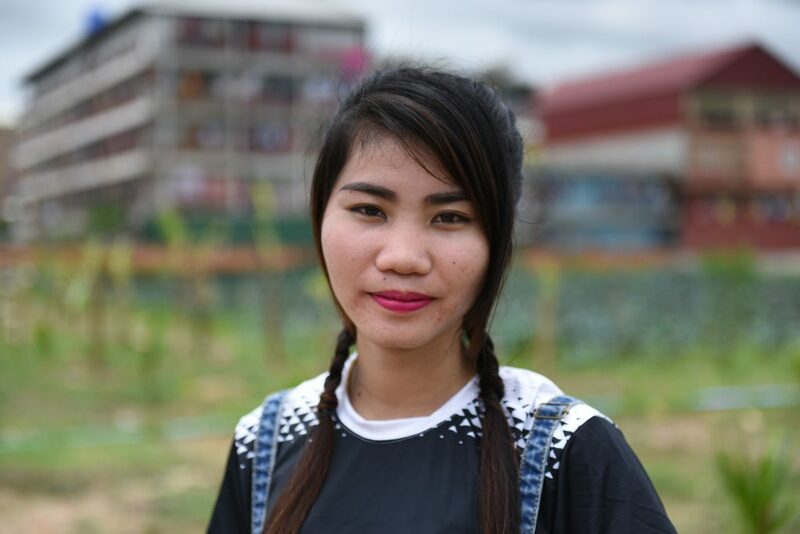 Shukla completed the seventh grade before leaving school to work in a garment factory when she was 15-years-old. 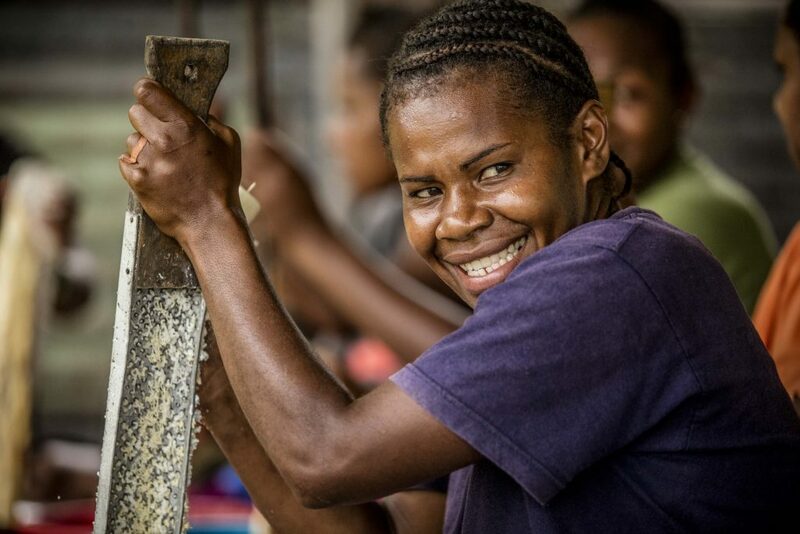 She worked for a single factory for six years until she was around four months pregnant, as she suffered severe morning sickness. 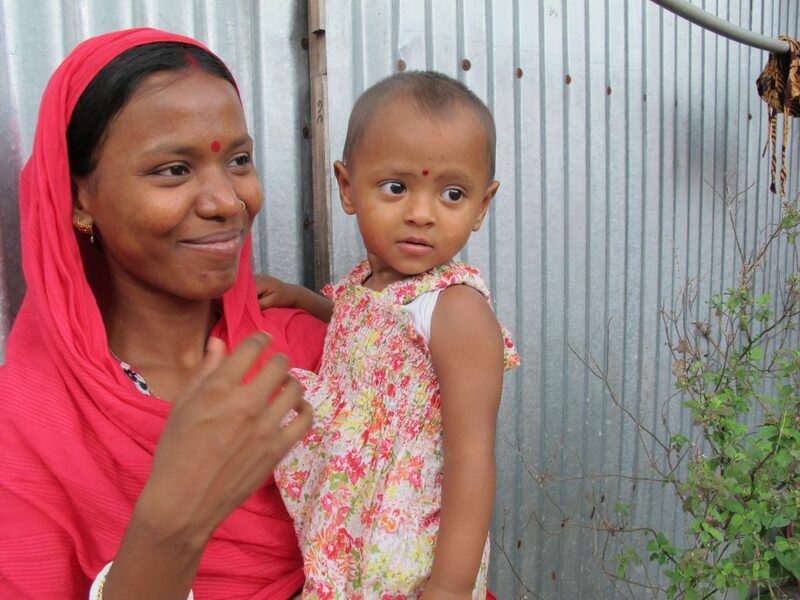 Shukla became involved in the Safe Motherhood Project early in her pregnancy, and was introduced through a community support member named Rakhal in 2015. 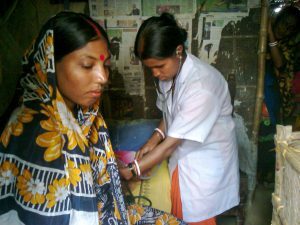 The community clinic is directly across the road from Shukla’s house, where she was able to attend nutritional training sessions during her pregnancy and received post-natal care after her daughter was born. Shukla was in labour for two days and the Community Support Group were able to raise 2,000 taka (AUS$33), so that Shukla could take an auto-rickshaw to the hospital to deliver her baby safely and also pay for the food and medicine during her stay in hospital. “I would like to have another child. I hope they have a good healthy life. I want them to go to school.” says Shukla. Both mother and baby are healthy and are doing well.